How to be a great team leader… In this post, we will explain ways and means to better your leadership skills. Getting people to work together is difficult… and unfortunately many leaders skip the basics of team building… in a rush to start achieving goals. Many people do not know… that the concept of the team leader has changed…. No longer is a team leader responsible for people… seated at desks around them. Today, the team leader has to manage dispersed teams… gathered from different departments… and often across borders. What you should know… is that leadership is all about… how you influence your team to achieve its objectives… something you’ll struggle to do… if you don’t get to know your team members well. Aaron and Shara , say that nobody has all the answers… but you can be a better leader if you always continue to learn. For those of you who know Aaron and Shara… you know that nothing excites them more than mentoring and leading teams…. Aaron and Shara love it…. They say that they find fulfillment in leading and mentoring… highly efficient, productive, healthy teams… more than most other things they do in his internet marketing business. 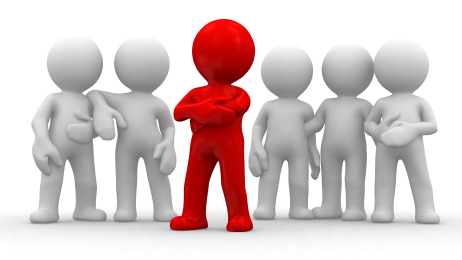 A great team leader possesses a variety of characteristics… this encourages the team members to follow him or her. Certain qualities that comprises of integrity and compassion… are common in a great leader. Qualities of a great team leader… inspire the trust and respect of the team… this stimulates production within the workplace. Ethics is a major part of any successful business. And, in this how to be a great team leader post… you will realize team members will stay only when they can trust you. When you give your team moral responsibilities and expectations… the rules are probably going to be followed easily. A great team leader is always honest… as his business and its employees are a reflection of themselves… so, it is not surprising that their team will follow suit. Great team leaders possess exceptional organizational and communication skills. Additionally, they are confident in their abilities…and are also fair in their dealings… they also respect their team members. Great team leaders also know how to share leadership through delegation. They learn to listen thereby earning their team’s respect. In short, great leaders don't try to act too dominant…. Instead, stay friendly and respectful. The key in How to be a Great Team Leader … is to do what you can… to keep things simple when you are leading people. Focus on the most important things first. Start setting priorities… and then try to simplify things that need to be done as much as possible. Another thing to consider in how to be a great team leader… is to set reasonable but high team goals… ensure that they are not impossible ones. Don't set your team to fail… This will only show the world that you are not a poor leader. Bring people in from different backgrounds to help build your business… Try not to have clones of you… This stifles the innovation in your team. It can also bring about the downfall to any business… because of the lack of different ideas. Listening to your team members is more important skill than talking… when it comes to how to be a great team leader. Being a good leader is all about hearing what other people have to say. Listen to the things your employees are saying. Learn from each of your employees… what they have to say about the products and the buyers. You will be shocked at the amount of things you learn by listening. The most important thing on how to be a great team leader. Is to understand that a good leader should never be alone. A good leader is there to make the entire group… to grow in a positive manner. Your role as a leader… is to bring this group together and inspire them to do their best work. This will help you to successfully lead your business. Having the right tips handy will help you be a good leader. This guest post has been written with that in mind. Keep striving to hone your leadership skills no matter the venue in which you find yourself. Remember you want to inspire people to become leaders. That is the main goal. A Great Team Leader Always Admits His Mistakes. Not admitting your mistakes came from a sense of superiority and pride. Many people think that since they are the leader… they must be right. Leadership is more of a servant role. And like anyone in business… you will never have all the answers. Revealing you are human is helpful… great team leaders go and find the answers the team needs. Summarizing, leadership is all about… how you influence your team to achieve its objectives—something you’ll struggle to do… if you don’t get to know your team members and what makes them tick. Great team leaders spend their efforts by creating a place… where people want to stay and contribute their best effort…, time and time again… helping your organization achieve its priorities. As a final say, great team leaders must be willing to empower others… so as to become decision makers in their own field of expertise. There is nothing worse than a micromanaging team leader… who will not trust their team. We hope you have enjoyed this post on How to be a Great Team Leader.